Table of Contents is Pictured. Magazine is Complete. Picture is of Actual Magazine. item 3 Hot Rod March 1966- Farlane's 390-inch GT/A, Drake's new Offy etc. 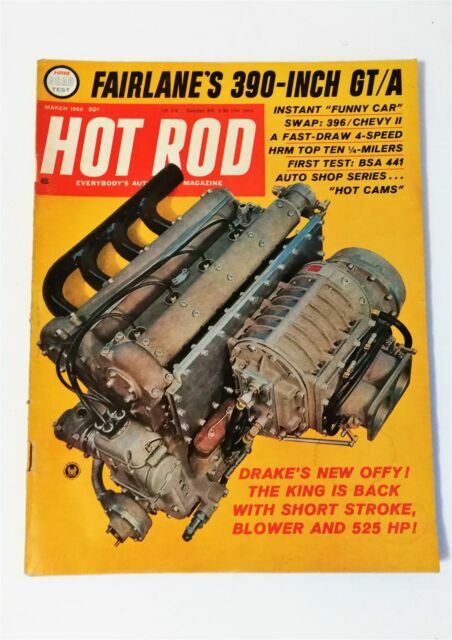 -Hot Rod March 1966- Farlane's 390-inch GT/A, Drake's new Offy etc.